There's never been a better time to become a professional photographer. The number of new magazines continues to grow. And all of them need photos. People continue to get married, and their wedding photos are among their most treasured possessions. Parents want photos of their children. Schools want team photos. And companies always need photos for brochures and press releases. Your local newspaper wants photos. And so do the picture agencies. Have you thought about selling your work for calendars or postcards? Or approaching advertising agencies? The list is endless. Having a client commission your first assignment is a real thrill. It's surpassed only by the pleasure of receiving a cheque. Imagine getting paid for doing what you enjoy! Photography courses show you the way. Photography can be your main work. Or it can provide a second income. You can work from home, either part or full time, and you get to meet interesting people. Every day is different. 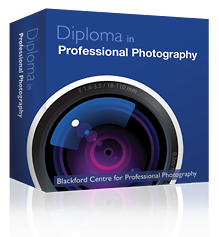 The Diploma course is a complete learning package. 'Become a freelance photographer' is crammed full of information, tips and exercises. Note: We won't send you the course materials by post. 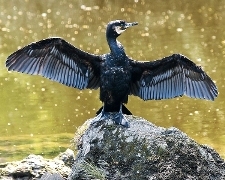 Blackford Centre learner Darran Buckley won the 'Wild Scotland' photo contest with this out-standing picture of a cormorant. We can teach you to succeed, too. The course cost is shown in the registration page. Once you complete the photography course, we send information about your success to your local newspapers (if you want). It's a good way of telling potential clients that you're available. We'll also put your name on our Register of Professional Photographers. Register now for the photography course by clicking here. If you need help or information, contact us. When you first login, read the first module. It's laid out in an easy-to-follow format. Then do the simple first assignment. Send it to your tutor for marking. They will return it to you with friendly advice and comments.